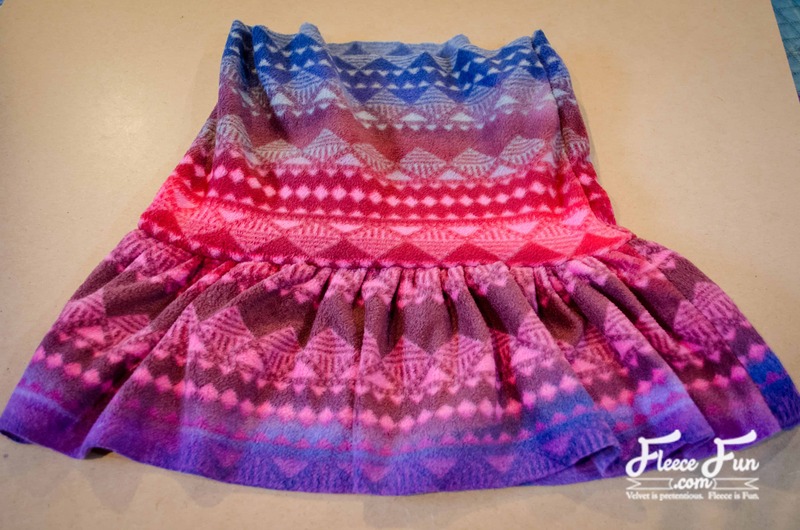 This Fleece Ruffle Skirt tutorial is easy to follow and perfect for adding some cute warm layers! 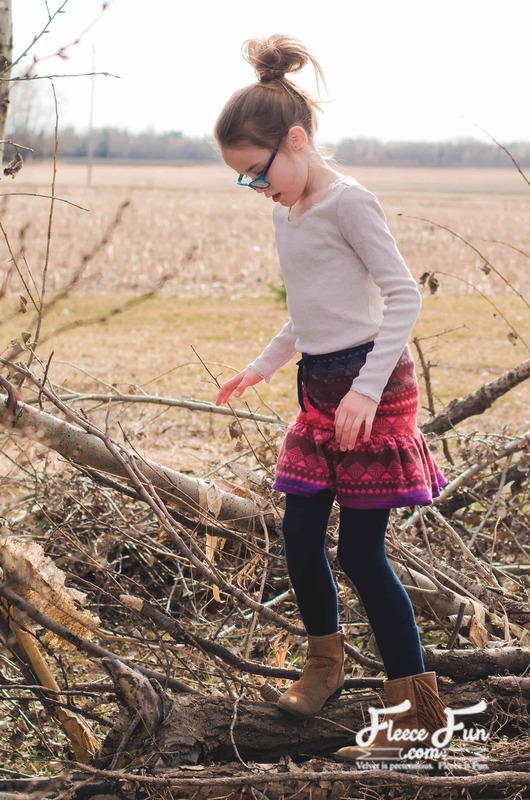 This skirt uses a 1/2 yard of fabric you can easily find affordable pieces in the remnant bin to save some money. 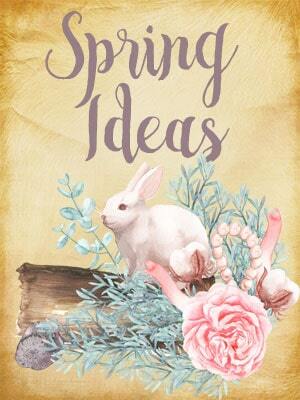 12″ of 1/2″ wide ribbon or twill tape. 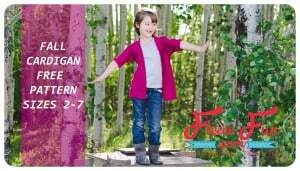 Ensure that the cross grain (direction with the greatest stretch), is lined up with the WIDTH of the pattern piece. You want the direction with the greatest stretch to go around the body, not up and down. 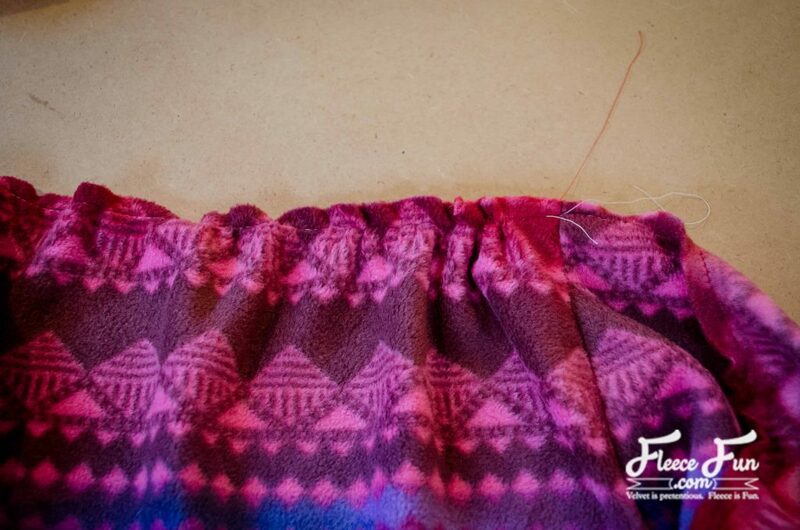 Sew the short ends of the main fleece skirt and the bottom tier, right sides together. Sew long basting stitches along the top edge of the bottom tier. 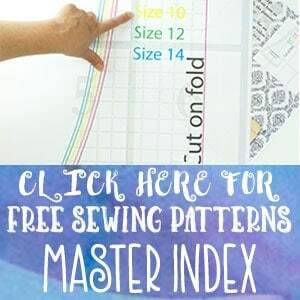 Pull the bobbin thread to gather the edge. 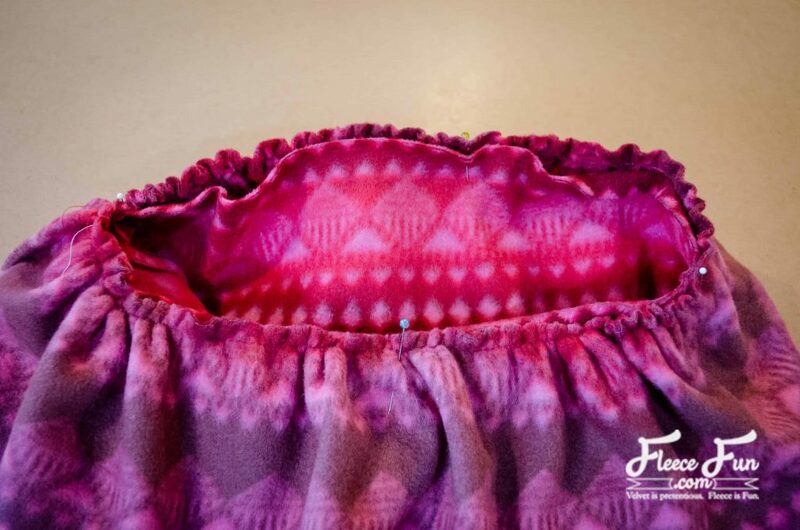 Gather the top edge of the bottom tier so that it is the same width as the lower edge of the main skirt. 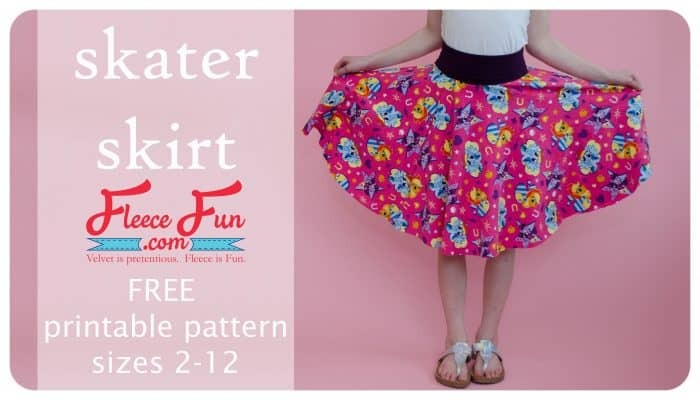 With right sides together, sew the bottom tier to the main skirt. 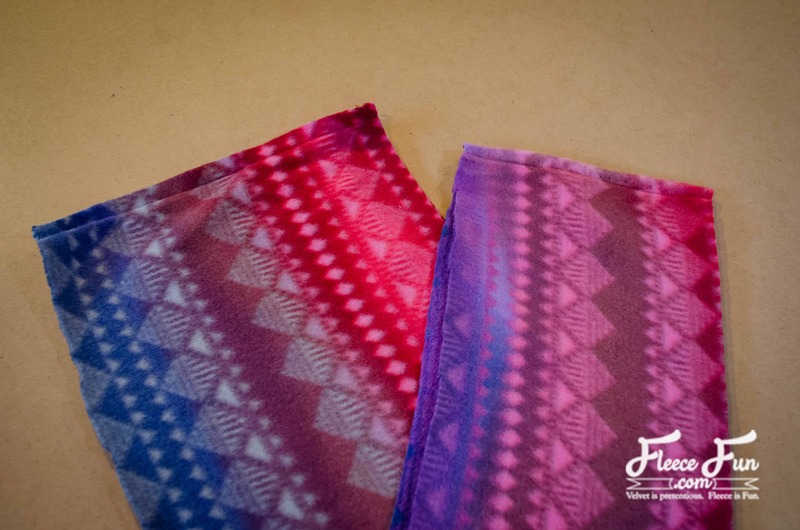 Overlap the cut ends of the elastic by 1/2″ and zigzag together. 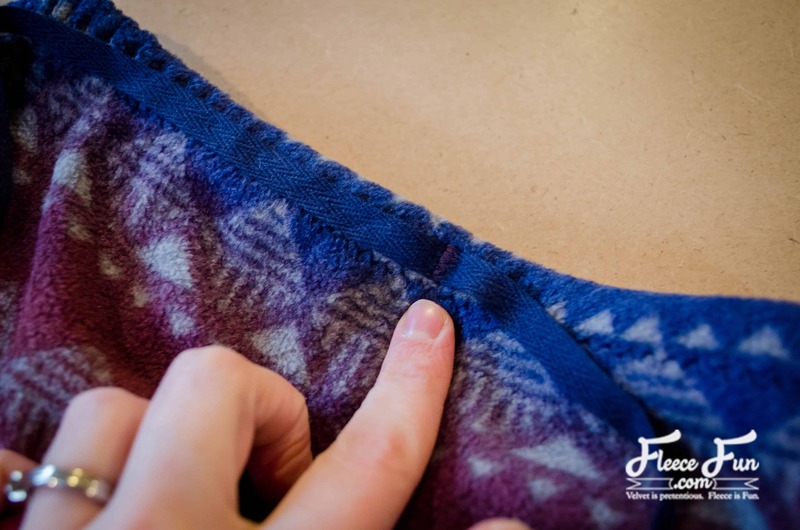 Pin the elastic to the wrong side of the top edge of the main skirt. 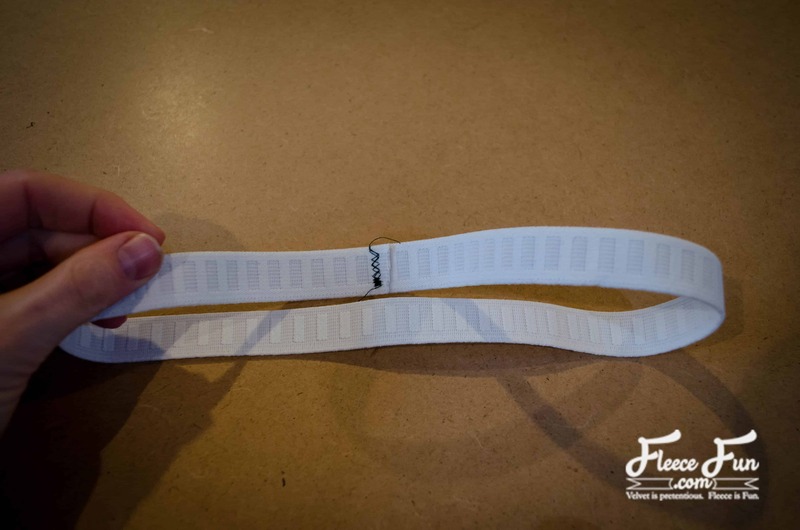 You will have to slightly stretch the elastic to fit. Zigzag along the edge to secure. 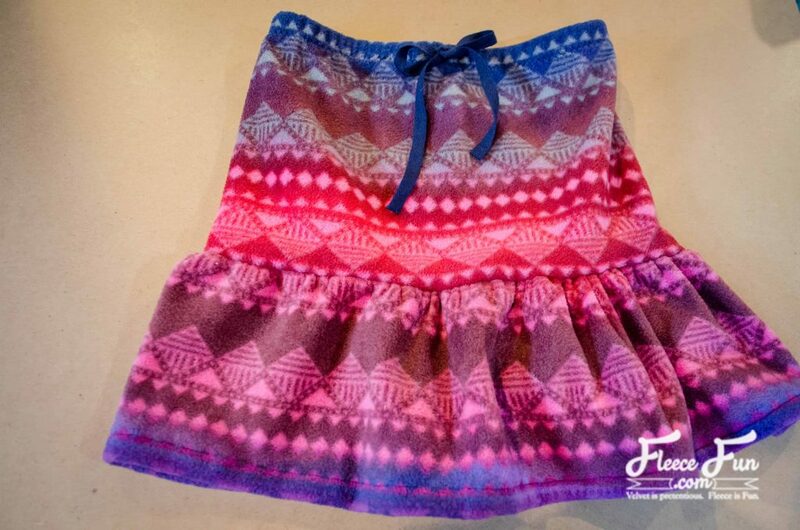 Flip the elastic towards the inside of the skirt. Zigzag it in place close to the raw edge. You will be stitching over your previous stitching line. 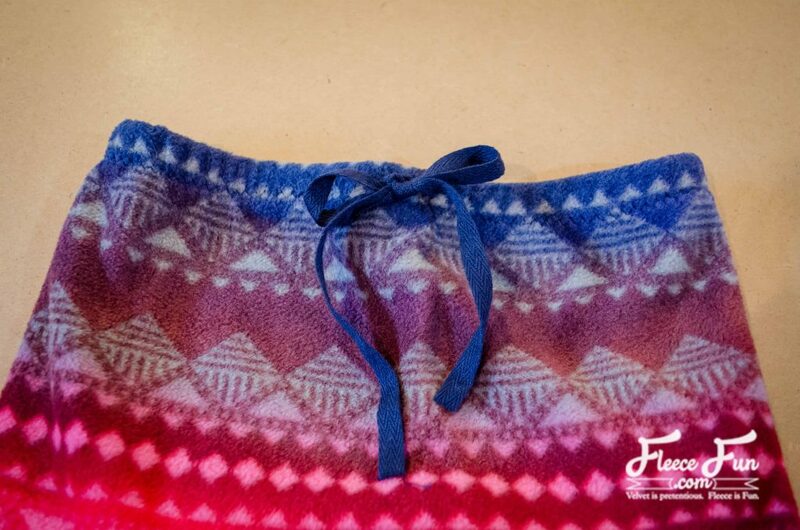 Find the center of the ribbon and the center front of the fleece skirt (the seam is the center back). Zigzag the ribbon in place. 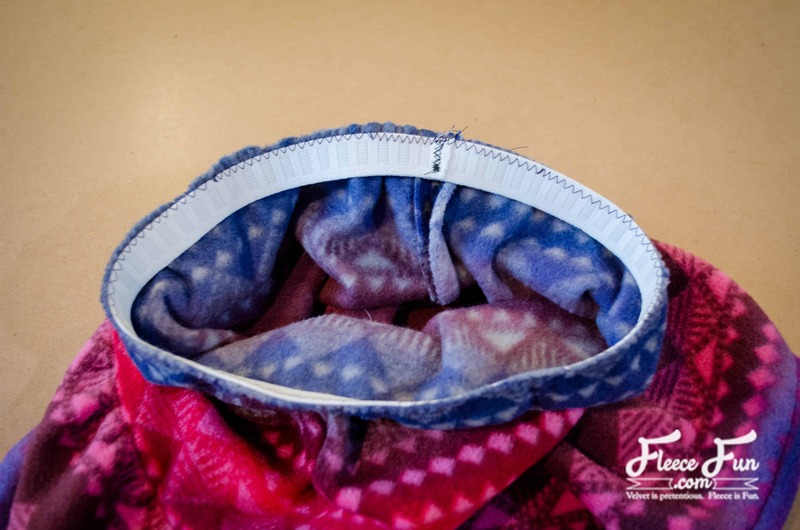 Fold the bottom edge to the wrong side by 1/2″. 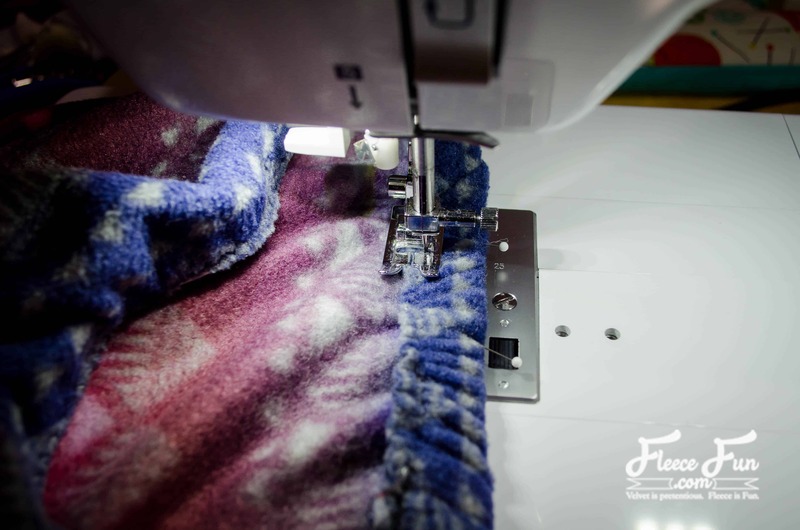 Topstitch in place.